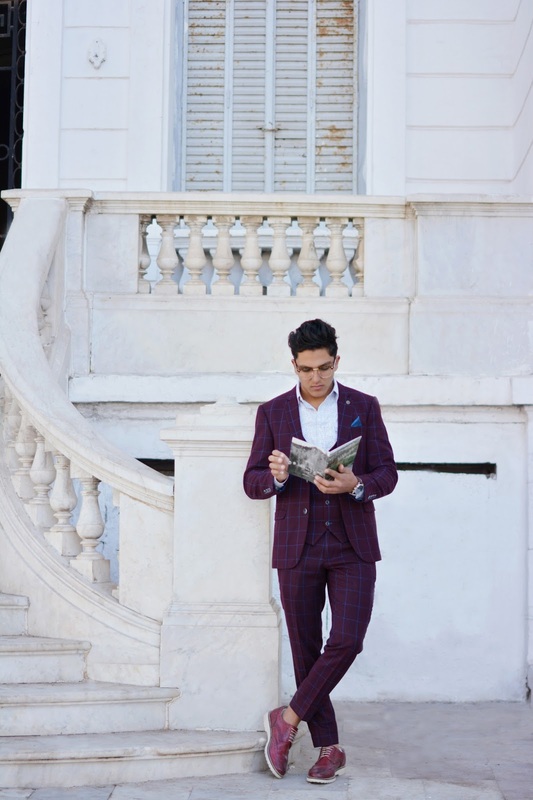 So, fun fact: One of my favorite places to photo-shoot in Rabat is The Medina place for many reasons. The old style of french buildings is incredible, I have a fascination with the minimalist & anything anything artistic and I can also look down on the city that will have my heart for the rest of the winter. 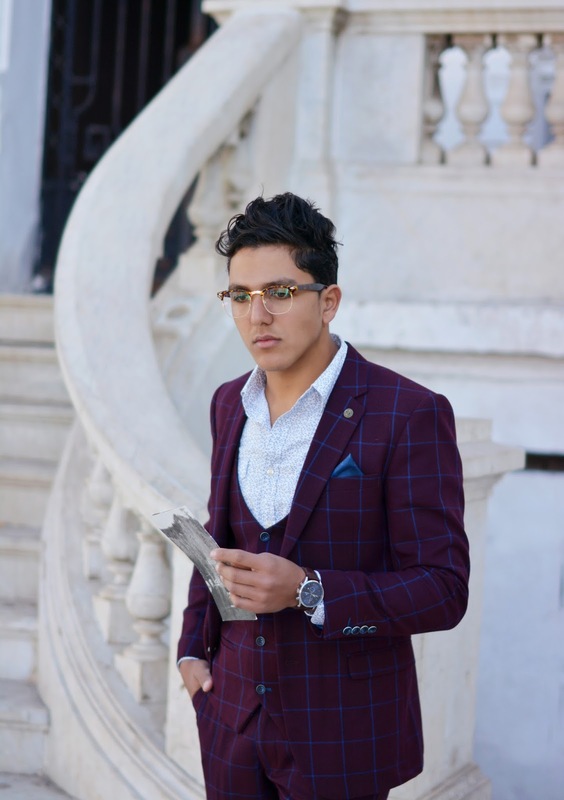 I use to think there weren’t many occasions in Rabat to sport a suit but boy was I wrong! Not only is wedding season upon us, but the amount of events they have out here for us influencers is starting to match USA. 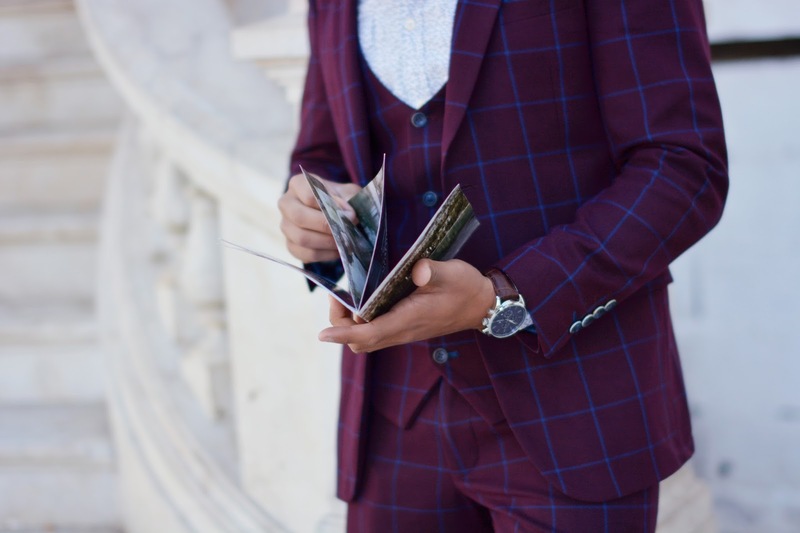 I decided to sport my new MARCDARCY suit, in burgundy. I paired a floral white shirt under it with an open collar to dress it down. 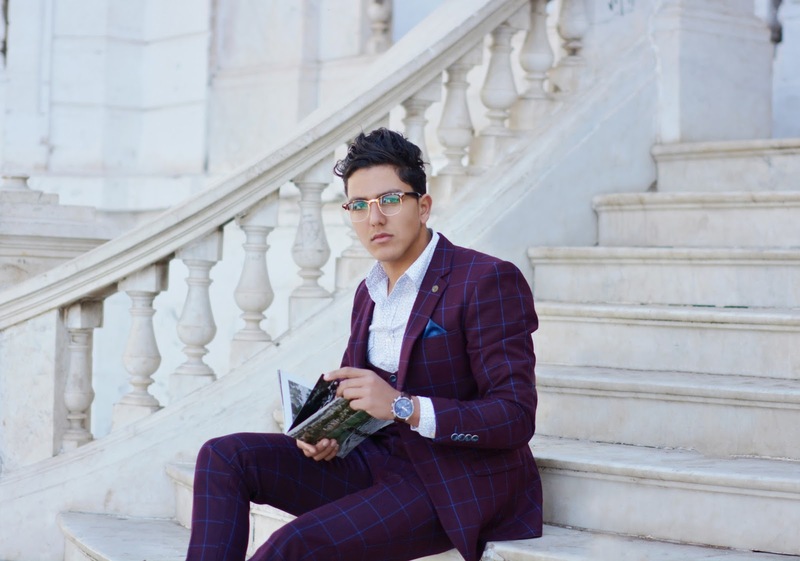 I let the accessories do the talking with a pair of glasses, a watch ! 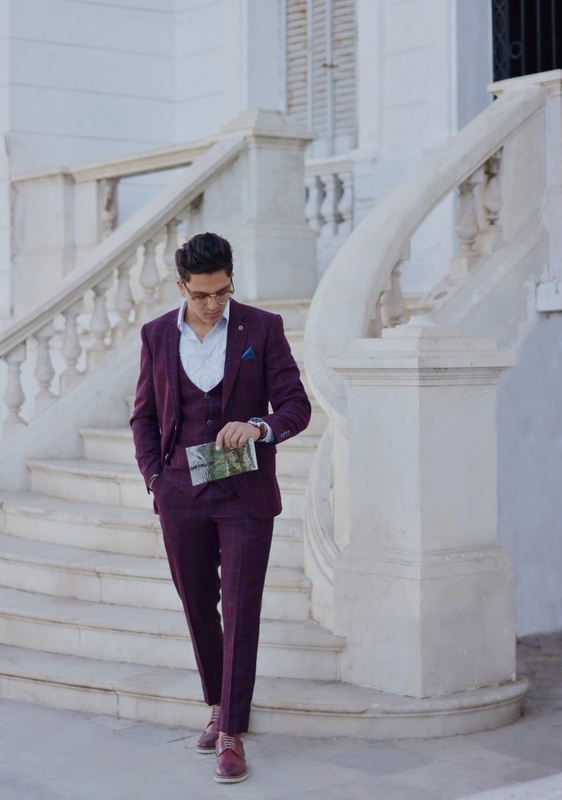 the second fact why i wore the shoes in light burgundy is because it's the same color of the suit, the match is awesome a lot of of people that i met that day said good stuff about my look, so i was kinda happy that they liked British suit and my Italian shoes !